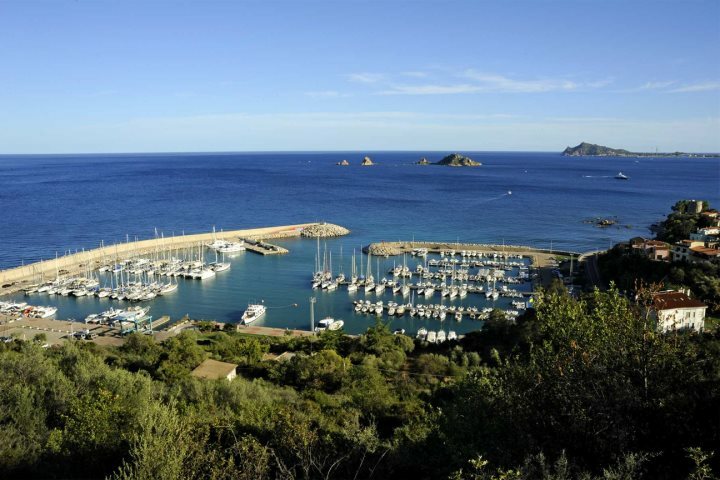 Santa Maria Navarrese is a convenient half-way point along one of the most spectacular drives on the island of Sardinia. 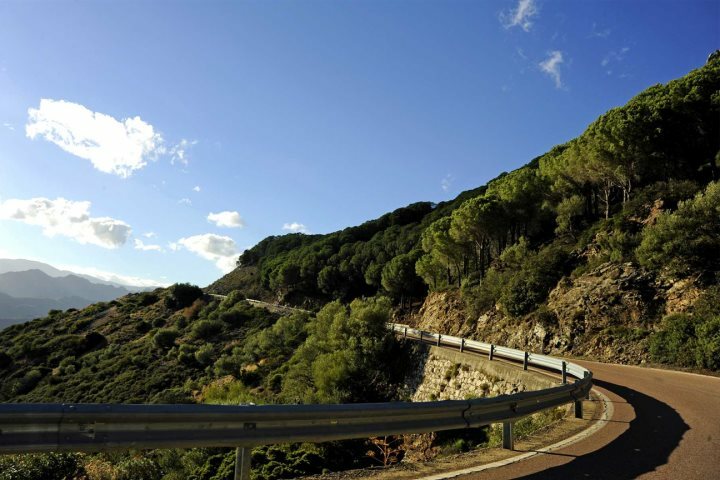 The SS125 runs from Villasimius in the south, along the east coast, through some of the most stunning mountainous scenery, then via Olbia and on to Palau and La Maddalena islands in the north. Santa Maria is a little village a couple of miles off the main route so remains a quiet and peaceful haven. 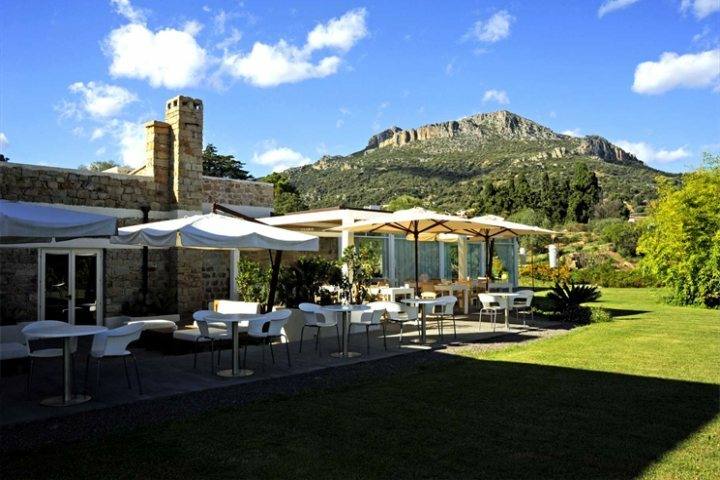 There are a few lovely restaurants and beaches and it makes a great base from which to explore the surrounding countryside and the stunning eastern coast of the island. Boats trips from the marina will take you out for the whole day visiting a number of secluded beaches along the way, including the beautiful cave system of the Grotta del Fico. If you wish to stay here, the Lanthia Resort is the perfect choice, just on the edge of the village with a backdrop of the dramatic mountains. 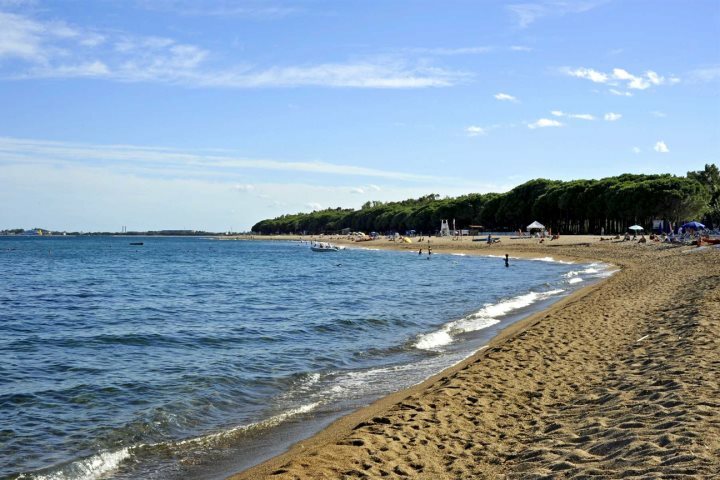 The azure waters of the Mediterranean are just a couple of minutes stroll away, through a short tunnel under the road and via a small wooded area, where the hotel has its own secluded beach with sun loungers and parasols. 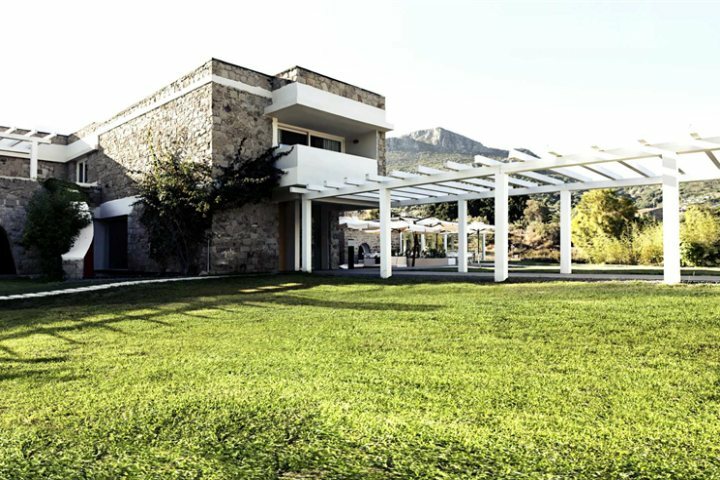 The local granite exterior of the Lanthia Resort ensures that it sits unobtrusively in its surroundings while the interior, decorated in white and neutral tones with splashes of colour and hand-woven linens, is stylish as well as comfortable. Each of the 28 rooms is named after a Sardinian town with a sample of its traditional textiles, as well as a lovely image, displayed on the walls. If you want to make the most of the stunning surrounding scenery, the mountains of Gennargentu and the Golfo di Orosei National Park are only a short drive away, making Lanthia resort also a great location for keen hikers. We think the Lanthia Resort is the perfect stop off on a tour of the island or a great base for a longer stay exploring this beautiful region. 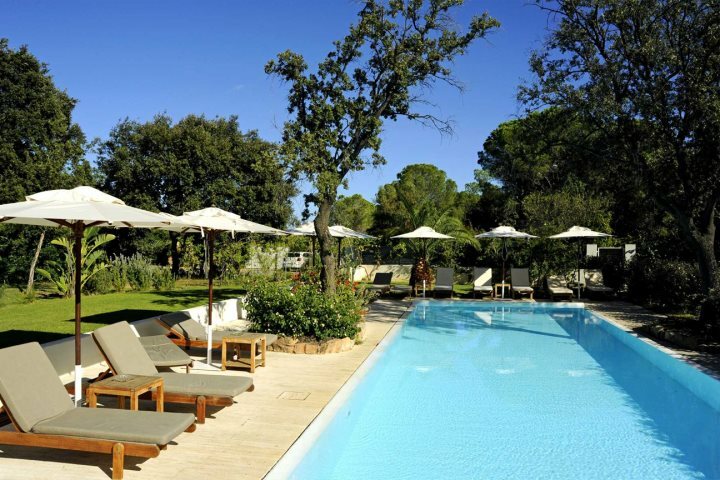 It is also an ideal spot for simply relaxing by the pool or beach, surrounded by nature. 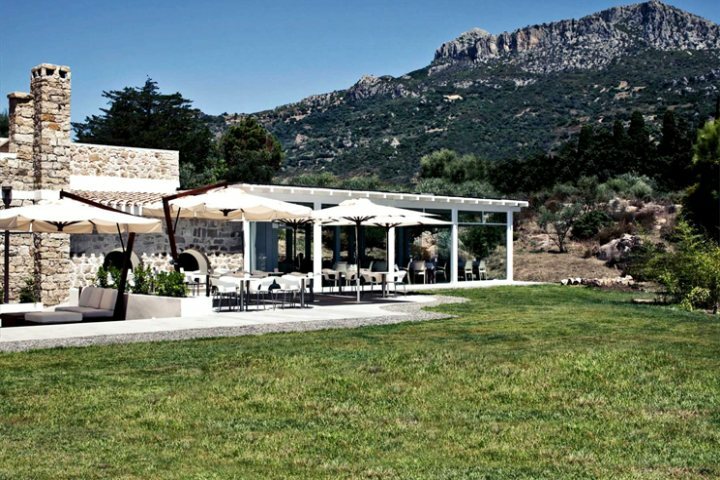 Visit the Sardinian Places website to find out more about the Lanthia Resort and this lovely region.